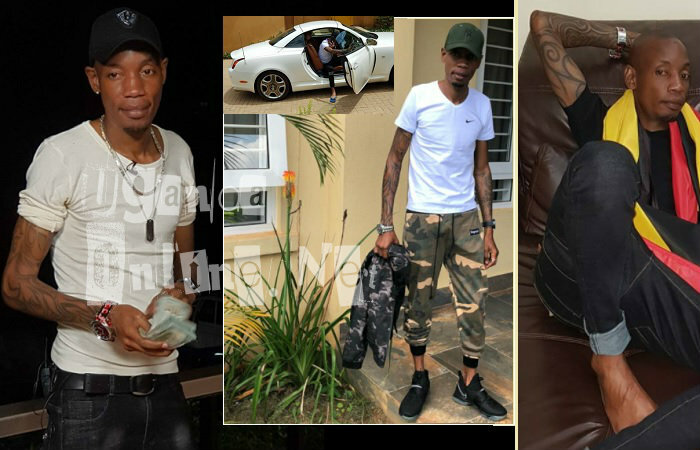 Brian Kirumira, 33, aka Bryan White is the new Ugandan tycoon on the block coming on the scene five months after the death of Ivan Semwanga. Christmas has come early for some courtesy of this light skinned, multi tattooed tycoon. 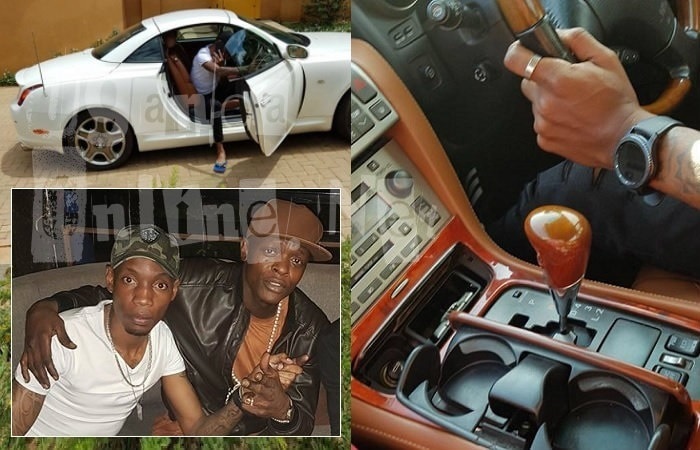 Bryan enjoys Alex Muhangi's jokes and when he bumped into him at a night spot, the comedian left smiling from ear-to-ear after getting himself a bundle of green bucks. Just yesterday, he was cruising around Kampala with lots of bikes commonly known as boda-bodas trailing his white convertible Lexus as he made his way to Wankulukuku stadium where he was to give out cash to the youth for purposes of boosting their businesses.Those who had brilliant business ideas also benefitted from the cause. When asked what he does for a living, Bryan White said that he deals in real estate and he's based in Italy. "We renovate old houses which we in turn put on the market and sell," Bryan added. Now that the loaded guy was giving out money, some guys hatched a plan of blackmailing him so that they could get some of it, one claimed that the tycoon was busy giving out money and yet their mother was in the village languishing in poverty. This plan failed as Brian's mom long died in 1995, so there was no way she could be suffering in the village, and this is how the con man came to be netted. Arresting those that he was working with was equally not easy as police had to fire several rounds of bullets before arresting them. Bryan has since upped his security, he now moves with a military man who normally holds the big mobile wallet. New Ugandan tycoon Brian Kirumira aka Bryan White says is here to empower youth. In the video, he is giving out early Christmas to a lady who needed an ambulance after that, she could not believe it....Meanwhile, yesterday, Bryan White was giving out cash to youth who had brilliant ideas.